Prevent dust accumulation inside your shelf bins and keep items secure with these lids. 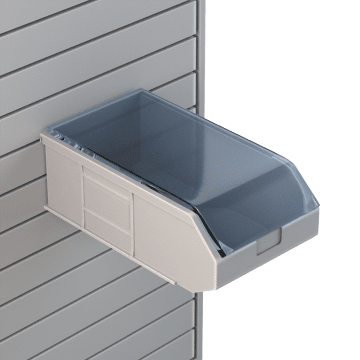 They don't require tools to install on your bins, making them easy to add and remove when needed. 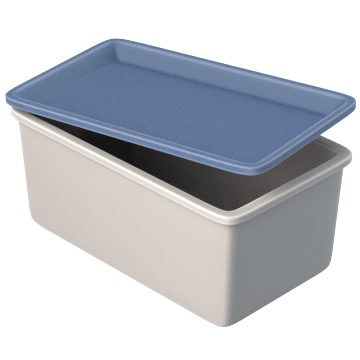 Made of durable fiberglass, add these lids to your bins to help protect the items inside the bins from moisture and most oils, grease, and solvents. They also allow the bins to be used for stacking, creating a more efficient storage system. Keep your stacking-and-hanging bin contents highly visible and protected using these lids. 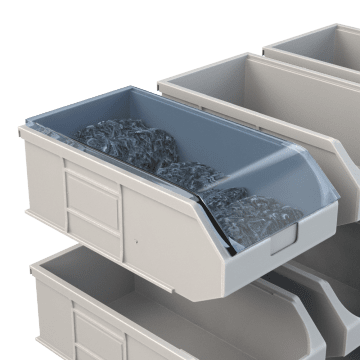 The lids sit slightly below the lip of the bin, allowing the bins to be stacked securely, and are hinged at the back for easy accessibility to the items when the bin is hung. They are clear so you can easily see the contents of your bins at a glance.